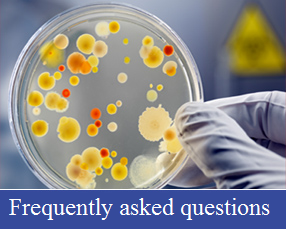 The Microbiology service is a comprehensive, clinically led service provided for Bacteriology, Virology (including Molecular services), Mycology and Parasitology. Clinical advice is also available for Infection Prevention and Control. Services are provided to the Royal Devon and Exeter NHS Foundation Trust, Primary care and community hospitals within North and East Devon, and other NHS Trusts within the SW region. The Laboratory is accredited by the United Kingdom Accreditation Service (UKAS) and participates in all relevant External Quality Assurances schemes. The laboratory has accredited training status for Medical, Clinical Scientist and Biomedical Scientist training. For contractual purposes each request accepted by the laboratory for examination(s) shall be considered an agreement.